This undated photograph was probably taken around 1941 or 42. 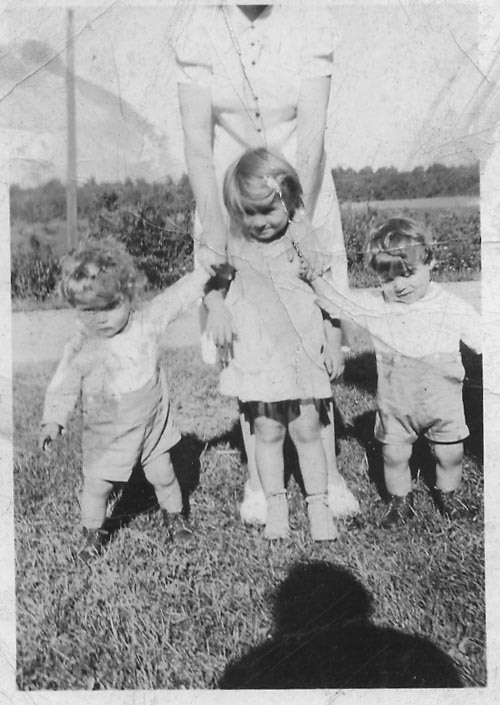 The woman in the background -which could be Mom (Margaret Allen Cook)- has "a handle" on the three children. Gail is the little girl in the middle, with her twin brothers Gary and Larry on each side. The photographer's shadow can be seen in the foreground.